On Sunday July 20th, the Simmer Down Reggae Festival took place in Handsworth Park in North Birmingham. A team of independent ‘community monitors’ trained by Netpol (the Network for Police Monitoring) were there to observe the actions of police deployed at the event, as part of a pilot scheme by Netpol. The initiative was led by Netpol and members of BEMA, BirminghamSTRONG and 4WardEver, as well as including a number of Birmingham residents. Community monitors (also known as ‘legal observers’ or ‘police monitors’) are volunteers trained to monitor the use of powers by the police and ensure community-led accountability of law enforcement, and to act as a deterrent to police abuse of powers against the public. By policing the police, community monitors and community monitoring projects help redress the lack of accountability of the police, particularly among BME communities, and help empower those communities to defend themselves from excessive, discriminatory and racist abuse at the hands of the police. 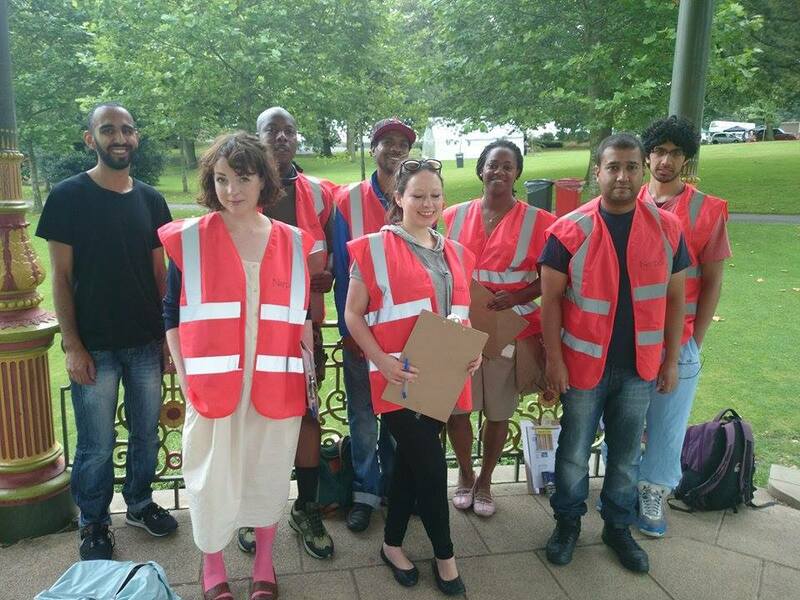 There are a number of established community monitoring projects active including in London and Manchester, but no such organisation currently exists in Birmingham – BEMA were proud to support this pilot and we hope this can be the beginning of a more long-term project in Birmingham working on behalf of the community, and BEMA fully support such an initiative. Netpol’s decision to work in UK’s second largest city – and in particular the Handsworth area – arises from past tensions over hostile and excessive policing of the city’s black communities. The deaths in police custody of two men – Mikey Powell and Kingsley Burrell – have heightened concerns in particular about the treatment of young black men by West Midlands Police. A decade has passed since Mikey Powell’s death from positional asphyxia in the back of a police van in 2004, but his family only received an apology from the police this year. Kingsley Burrell died in 2011 and, like Mikey, he suffered from mental health problems. His death followed his detention under the Mental Health Act. The closure in 2010 of the Birmingham Racial Attacks Monitoring Unit (BRAMU), which monitoring local policing as part of its work, has also left a significant gap in the independent scrutiny of the West Midlands Police. The groups we are working with believe there is a need for far greater police accountability and we hope our pilot is the first step towards the return of a genuinely independent community-based organisation that can undertake this role.